I’m glad you found us! 4 Seasons Home Care is owned and operated by a Registered Nurse with over 30 years of experience. Everyone has questions when it comes to caring for an aging family member and we are here to make sure you have the correct answers and resources which will promote health and well-being for everyone involved. Quality, trust & compassion are the foundations of our company. We offer home care assistance from 1 to 24 hours a day, every season of the year. Our caregivers enhance the lives of our clients needing physical, emotional and cognitive assistance so they can remain safely living and thriving in their own home environment. Our Certified Nursing Assistants are carefully matched with our clients and provide care such as bathing, incontinence, dressing, meal preparation, medication reminders, light housekeeping, transportation, social activities and companionship. 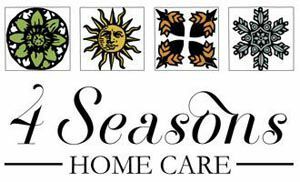 4 Seasons Home Care is fully insured, bonded and licensed. Our office is located just off the square in Marietta and we offer assistance to families in 13 counties across the Atlanta area.